Duill is situated in a shared grassy garden, with sea views across open fields to the isle of Coll. 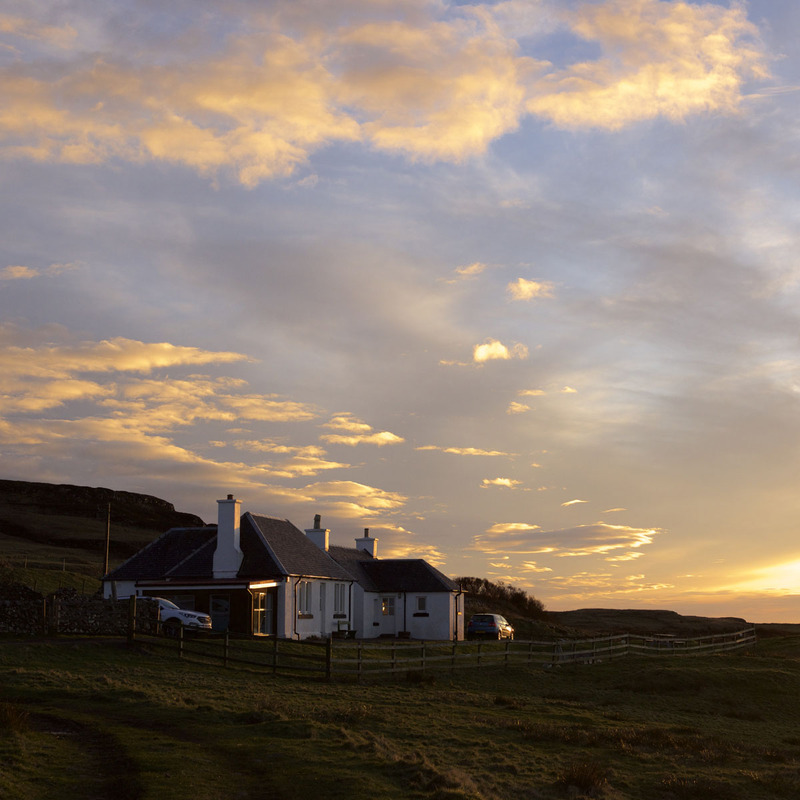 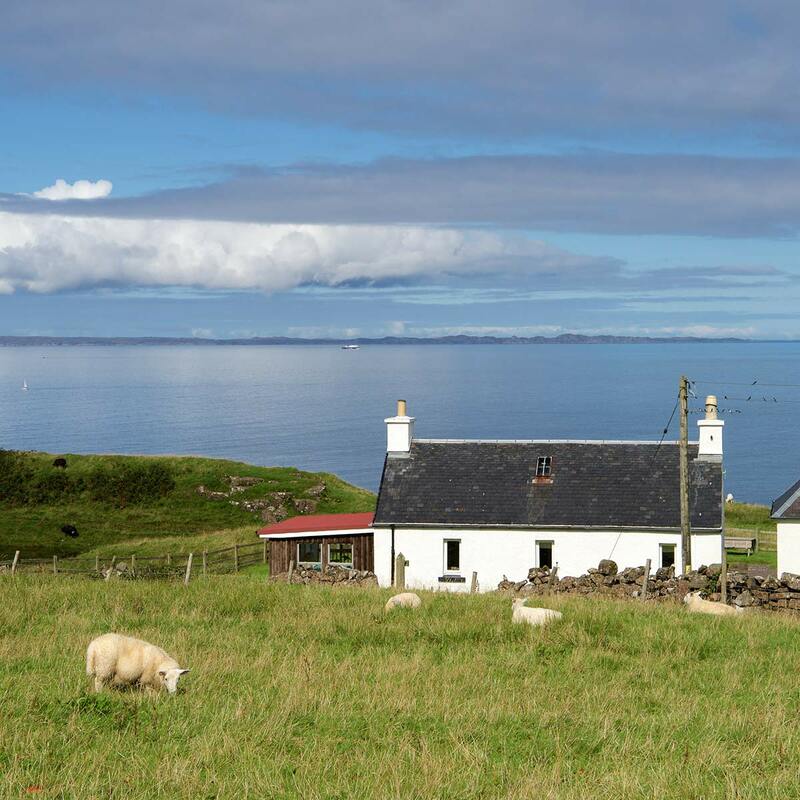 The cottage’s elevated position affords glorious views out to sea over to the Isles of Coll and Rum. 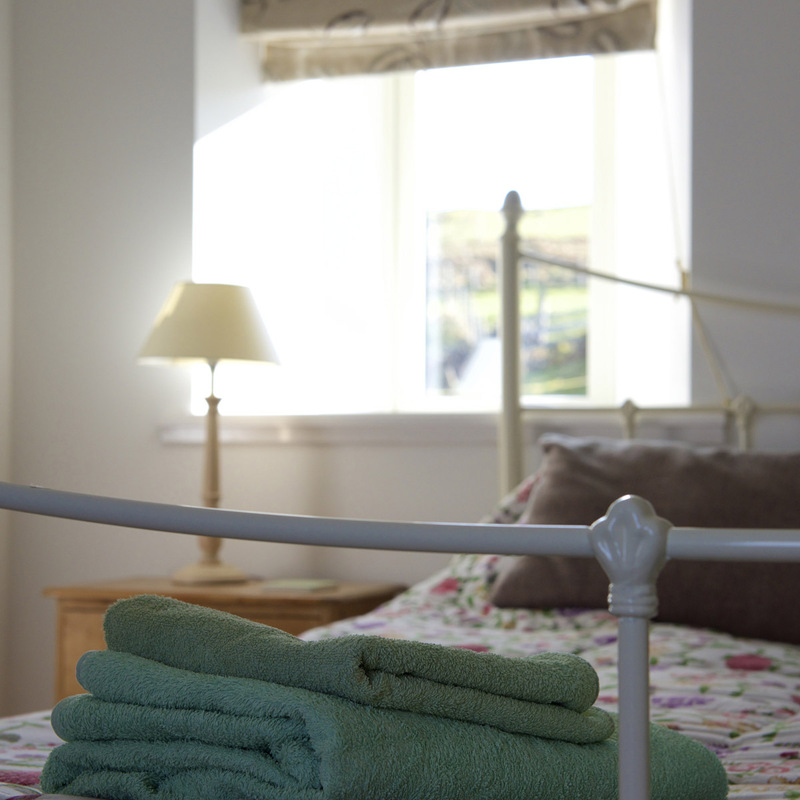 It was used as a farm workers cottage before becoming Mull holiday cottage accommodation. 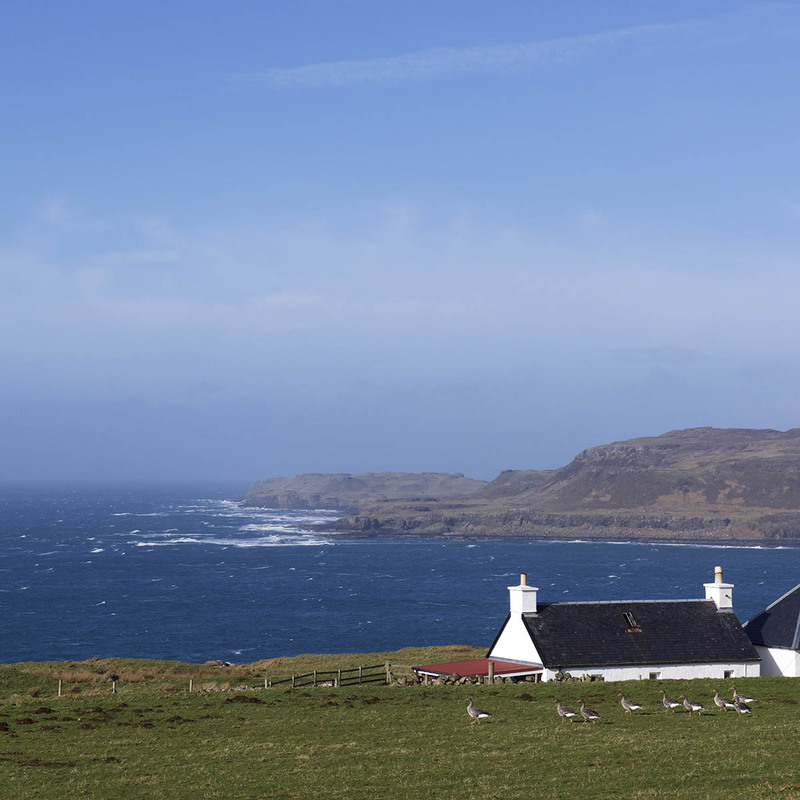 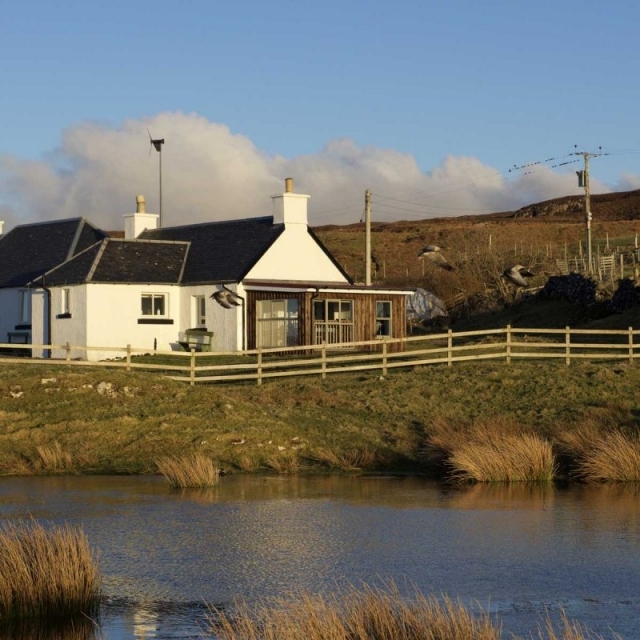 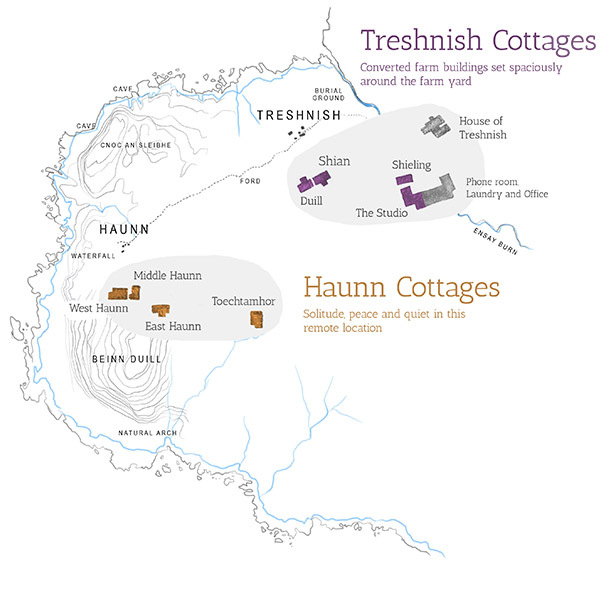 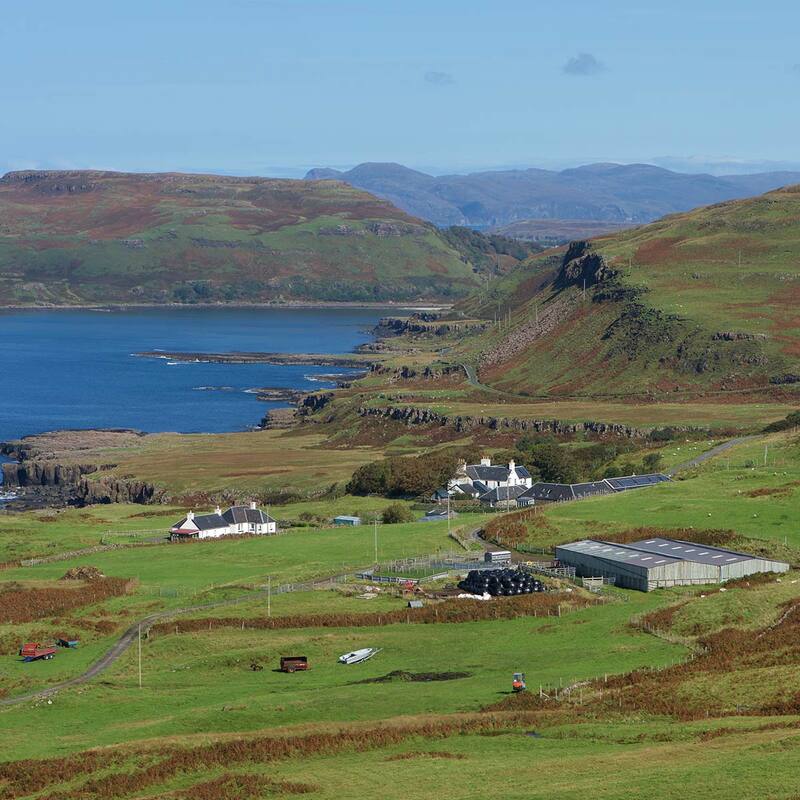 The traditional Mull cottage has been extensively renovated and insulated. We added the ‘sitooterie’ (unheated sunroom) as a way of upcycling old windows to create an ‘outdoors space indoors’ for guests to enjoy whatever the weather – it has made a great place to enjoy the views, the winter sunsets and any bird or wildlife activity on the lochan nearby. 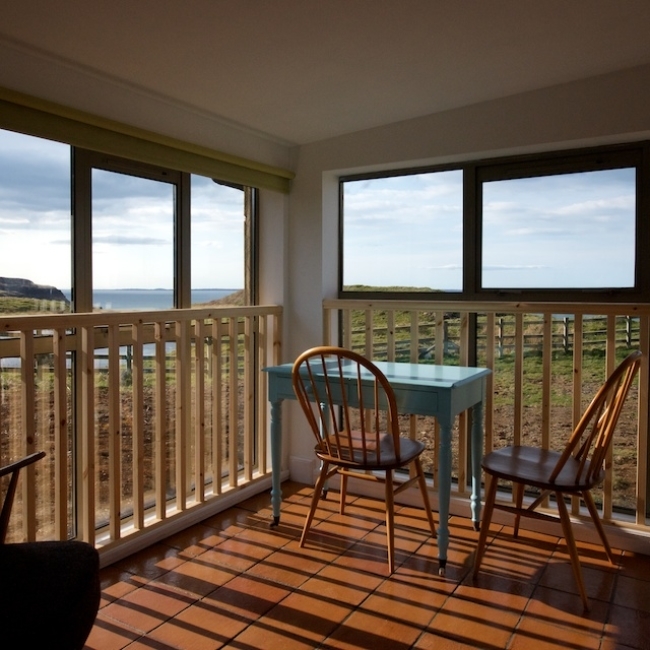 Watch for gannets diving into the sea whilst having your breakfast! 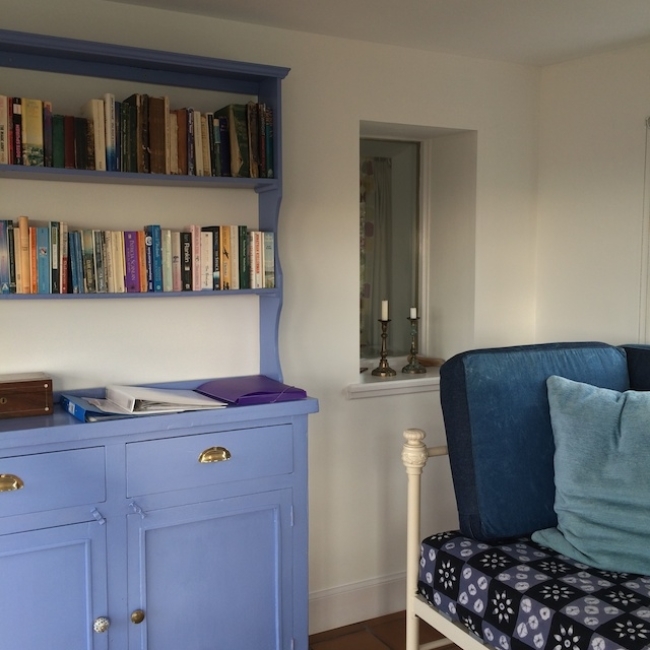 There is no TV, but there are books and a selection of games for your fireside enjoyment. 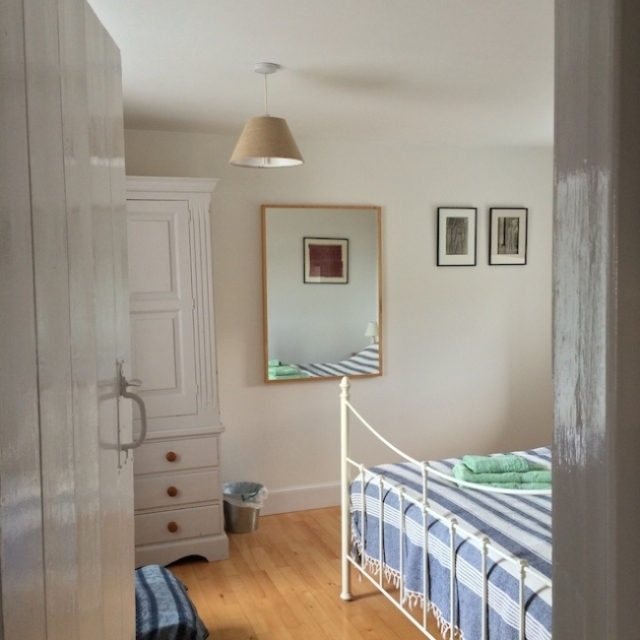 The cottage is warm and cosy whatever time of year: it is heated by woodchip (from a central boiler system) and has thermostatically controlled radiators throughout, with a wood burning stove in the living room. 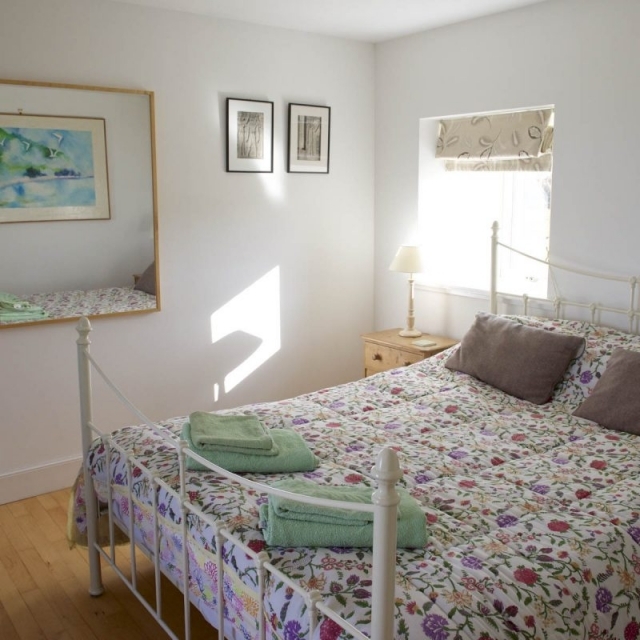 The double bedroom has a king size bed with views out to Caliach Point over the waters of Calgary Bay. 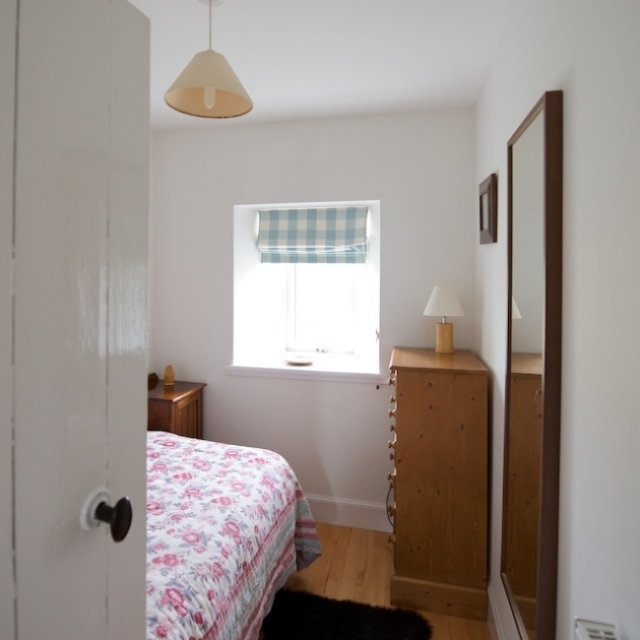 There is an additional bright but tiny single bedroom, ideal for a child – but with a full sized adult single bed. Both bedrooms have reclaimed beech Junckers flooring with bedside sheepskin rugs made on the Isle of Skye. 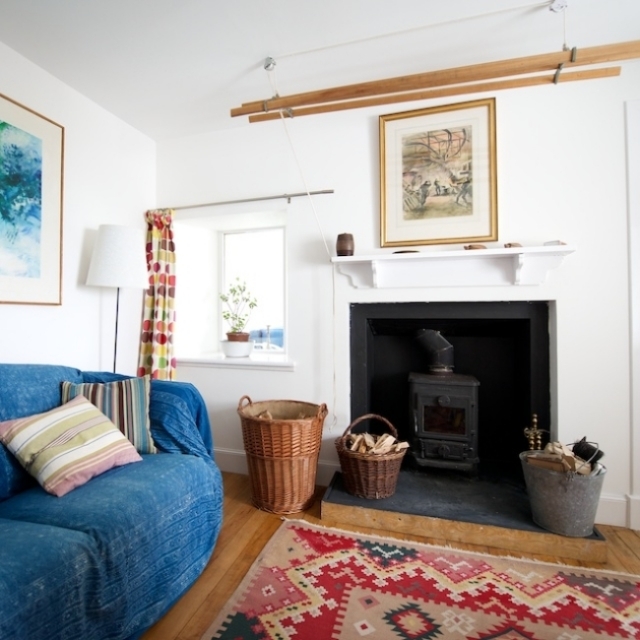 The cosy living-room, with circular dining table and welcoming wood burning stove, has comfortable seating, a selection of books, a radio and sea views. 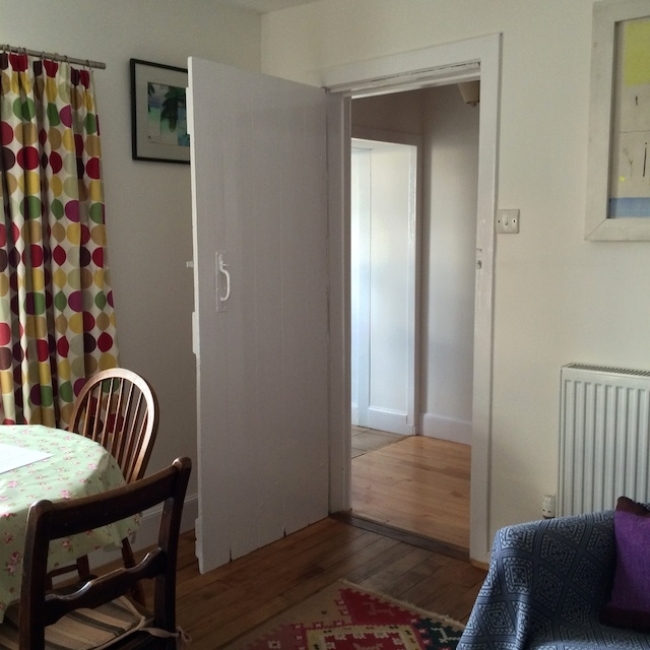 From there a double glazed thermal door leads through, with one step down, into the new ‘sitooterie’ (the unheated sunroom). This provides guests with somewhere to sit, whatever the weather, and enjoy the fabulous views to the west and north, sunsets all year round. 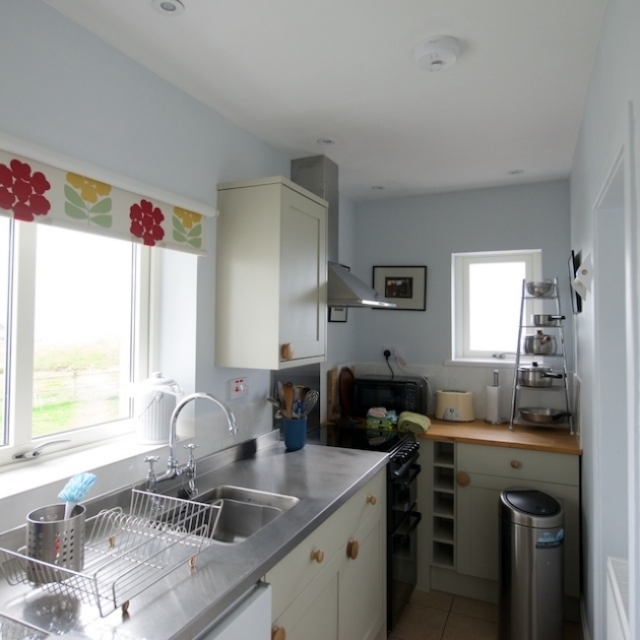 The fully equipped galley kitchen includes a fridge, small freezer, electric cooker and microwave. 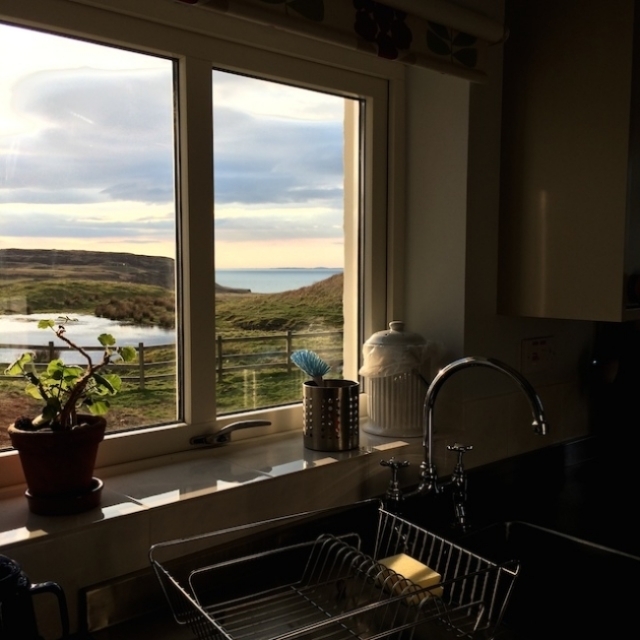 The kitchen window is a perfect vantage point for looking at the birdlife attracted to the restored pond (or lochan) just beyond the garden fence. 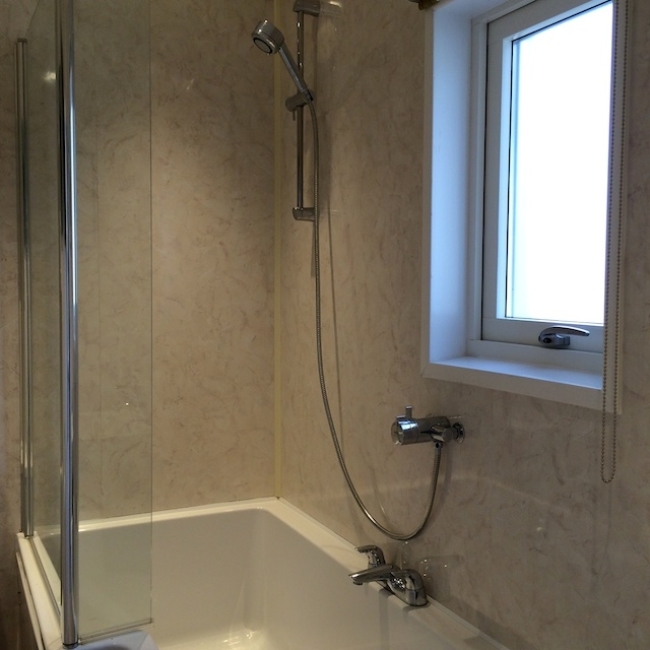 The bathroom, like all the other rooms, leads off a small central hall. 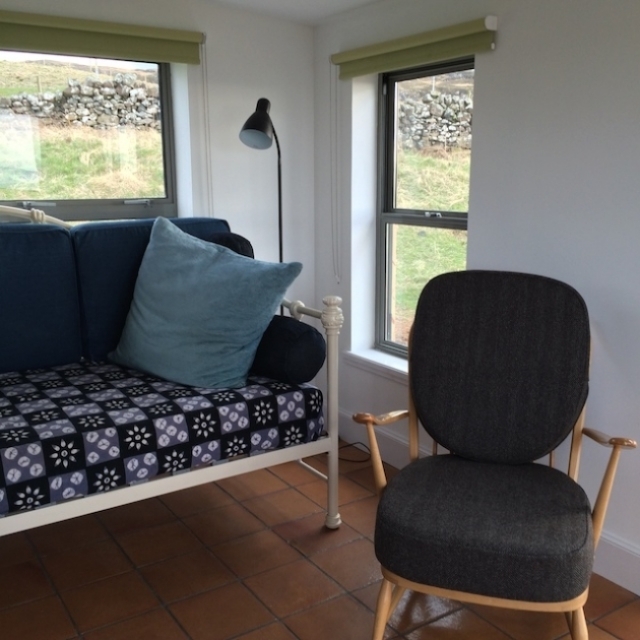 Even though the grassy garden is shared with Shian cottage next door, there is a more private area beside the ‘sitooterie’.